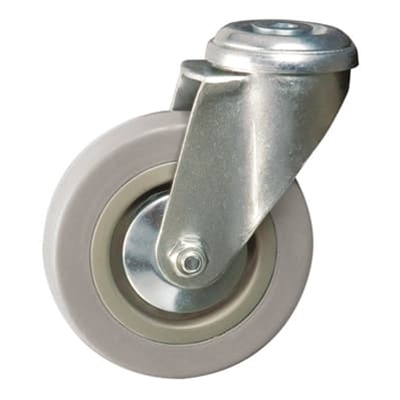 Bolt hole grey wheel swivel castor with 100mm dia and 70kg load capacity. 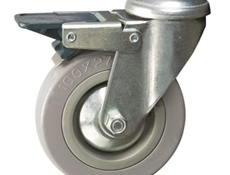 Swivel head with double ball race - 100mm - Plain bearing, complete with threadguards. Please note: Shade of wheel may vary. 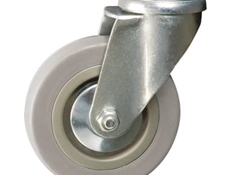 The castors can be purchased complete with expander fittings. The expander fittings can also be purchased as a standalone item.